By the time a child reaches his second birthday, his mother would have changed his diaper 7,300 times. By his 18th birthday, she would have prepared for him 19,710 meals--and spent more than 100,000 hours to his care, granted that she gets to sleep eight hours every day that is, which is doubtful. Motherhood truly is an all-encompassing vocation, which can sometimes overwhelm mothers themselves. But what makes moms so good at what they do is that they absolutely love what they’re doing. Caring for baby while running her home, making sure healthy meals are prepared at home, and all the children’s needs are met. 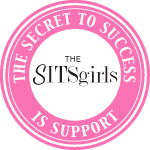 They do the groceries, take the kids to the dentist, and oh, and in most households, moms hold 9 to 5 jobs or run successful businesses too! Mommy Mundo Founder Janice Villanueva says, “We admire moms for their almost superhuman qualities, their powers in time management and multitasking alongside their ability to do anything and everything for their loved ones, and they all do these things wholeheartedly and passionately at that! And because most moms do all these tasks with grace and usually with flair even, we may sometimes forget to show her some appreciation and affirmation. Even moms themselves sometimes don’t seem to recognize their own efforts. That’s because taking on numerous responsibilities and caring for those we love come natural to us. Still, we should take pride in who we are and the important roles we play not only in our own families, but also in our communities and country. This Expo Mom 2014, we shout out YOU THE MOM! – this is a campaign to recognize the many big and small accomplishments of all moms. Through various planned activities online and at the Expo Mom event, we affirm and appreciate all the awesome things that moms do every single day, whether they’re taking care of their babies at home, doing volunteer work for a cause they believe in, or helping out a friend in need. Now on its seventh year, Expo Mom is the biggest event of its kind, gathering progressive, active moms in an environment that’s both recreational and educational. Showcasing beloved mom brands alongside mom- created products, Expo Mom has drawn over 60,000 mom participants since 2008. It has become a venue for like-minded moms to establish lasting connections and has also become the catalyst for the mompreneur movement in Manila. 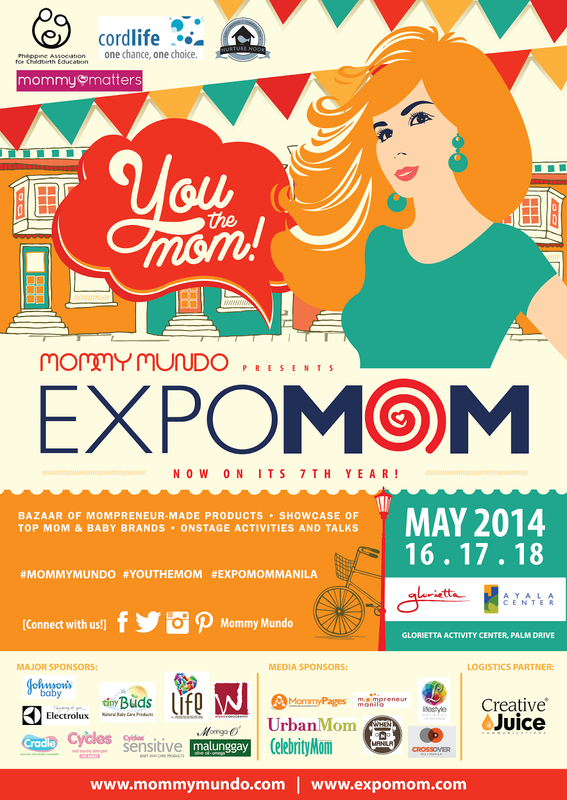 This year’s Expo Mom will feature over 60 booths at the Glorietta 2 Activity Center, Palm Drive, Ayala Center. Expo Mom 2014 will also feature all-day talks, demos, and raffle draws. Expo Mom’s You The Mom! campaign puts the spotlight on all the unbelievably good things that moms do by featuring 10 women whose stories represent every mom who has made a difference in her community,her family and in her child’s life. Real portraits of these moms, as photographed by Cres Rodriguez-Yulo, will be showcased via in an online gallery, hoping to spur on a complimenting social media campaign encouraging everybody to take the time to post a #youthemom statement. Statements from moms can be a post on what they are most proud of as a mom. For non-moms, posts can be a shout out all the good things that your mom has done for you or recognize a mom friend who inspires you. 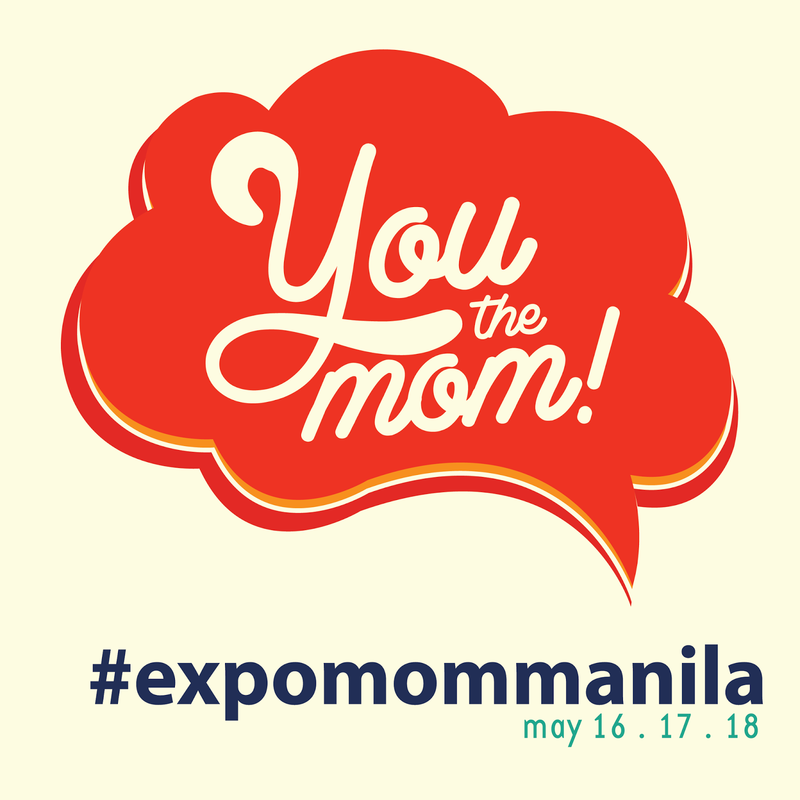 By using the hashtag #youthemom and #expomommanila, posts will be tracked and 3 of its participants will get a chance to win sponsored shopping sprees at Expo Mom. Entrance to Expo Mom 2014 will be a requested donation to MomShare’s literacy projects. One hundred percent of Expo Mom’s entrance fees will go to its partner beneficiary, Kinder Project, which aims to provide reading tools and training to public school teachers in Quezon City and Payatas. Mommy Mundo Privilege Passport holders get in free and will bring home a You The Mom! Tote bag. To apply for a Passport, log on to www.mommymundo.com/passport. For more information and event updates, visit www.expomom.com. Download coupons and the event map from the website and be prepared for a grand time. To be part of the You The Mom! Campaign, check out www.expomom.com/youthemom. Follow Mommy Mundo on Facebook, Twitter and Instagram for updates on events and activities for moms throughout the year.